You've been through the 2-year program and you want more? Deepen into the practices and community of Luminous. We are now enrolling Advanced Students and Lineage Path Students. Application required for Lineage Path. Read below for details or pay your deposit to begin the enrollment process. LINEAGE PATH APPLICATION IS LIVE! Pay your deposit and submit your application to apply. Everything you got a taste of in the first program is a tiny sip of a huge well. Come back to drink more deeply from the well. When we get a sip or a glimpse of something, it begins to be known. When we drink from that source over time, repeatedly, our whole being is quenched and becomes the embodiment of it. To embody awakefulness and live from the limitless intelligence that we are is a deep and dedicated journey. Come back for the incredible support of the Luminous transmission fields, teachers, and community! The more time, practice, marinating in transmission fields, and pointing out, the more adept our subtle energy tracking and awakening becomes. Continue to train your skills! The Luminous fields and community are uniquely potent, safe, and loving place to continue to heal and unbind ourselves from our limiting beliefs that filter us from our unlimited potential. Be part of the next evolutionary and healing cohort. Get the new downloads, the ever evolving material as it comes through the living field! Loch Kelly, author of Shifting into Freedom, will be our meditation teacher and will lead workshops and calls and be giving a very clear pointing out to awake awareness and how to make this awakefulness a stable baseline in your life. Limited spots available. Lineage Path in particular will only accept 10-15 (max) students. A short application for Lineage Path is required. If for any reason you are not accepted at this time, your deposit will be returned in full or you may switch to Advanced Student. Once you pay your deposit, we will provide the link to the Lineage Path application. Please complete your application within 2 weeks of paying your deposit. Full details for the 2019-2021 Advanced program coming soon! As Luminous is an evolving body of work, some changes are emerging. Love the community connection, the interactive practices, the fresh download of new insights, the personal growth? Want to do it again? You can! Join the new cohort as a full participant while also bringing your understanding, skill, and excitement as advanced students to share with the community. Continue to heal your personal process, deepen your spiritual awakening, and anchor your understanding of the Luminous approach and materials. Play in the fields as you integrate and refine your path to personal evolution and excellence! Want to strengthen your practitioner skills and move toward possible roles within Luminous such as official practitioner, pod leader, Subtle Self teacher, and so on? Join the Lineage Path for additional mentoring and support in rounding out your capacity to bring your gifts in service to others and to further the mission of Luminous. A high bar is set for this role. While healing your personal process is expected to continue as you move through the teachings a second time, the focus shifts from self to other as you are given opportunities to put your skills into active practice with new and advanced students and your peers in the Lineage Path and with clients in your larger community. LAI is no longer seeing itself as solely a practitioner training, the mission is too clearly dedicated to transmitting its teachings. The evolving intent is to focus energy on people who want to carry LAI forward. If you are accepted to this path, there is a recognition that you are a being who is trustworthy and invested, who would be increasingly capable of transmitting these teachings / learnings in the greater world as you continue to show up to both learn and support Luminous. Entering the Lineage Path for a second round of the 2-year program is the first step toward becoming a carrier and transmitter of the Luminous lineage. While cultivating deeper practitioner skills for healing, as you grow within this path you are being prepared to step into growing responsibility within Luminous as dynamos, Holy Rollers, and pod leaders, and to eventually hold small and then larger groups in different locations and configurations. There will be small group personalized teachings with Anna-Lisa Adelberg and Raina DeLear, as well as with other Luminous Faculty members, to develop the LAI skills and deep awareness, so that you can become an embodiment of the teachings and transmit them. 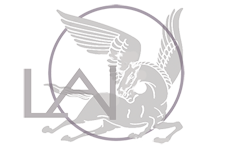 Those who are entering the Lineage Path are expected to bring your dedication and commitment to support what LAI needs to carry forth its mission. This means committing to attend all 8 modules in the 2-year course - this is the primary and ongoing training AND the place you step into active support. You stay apprised of the new teachings, connected to the LAI fields, and support the program in being able to run. If you are accepted and choose to join the LAI Lineage Path, we request that you have reflected deeply on whether or not you actually want to be part of this lineage and practice and teach within it. You need to have a long term intent to stay with LAI, to serve at the modules, grow into leadership roles, continue your own healing, and become part of the practitioner team. Please be aware that achieving advanced practitioner and leadership skills takes the time it takes and varies from person to person - it could take from 2 years to many. The amount of time and energy devoted to your practice and to your personal healing makes a substantial impact on the development of the skills needed. An official role with Luminous is not guaranteed following this program but we hope that you are interested in ongoing opportunities with Luminous and see this as the first step in that direction. See additional requirements in the Lineage Path Notes. Attend all eight 4-day immersive trainings, all but one held at the beautiful Expanding Light retreat center, approximately every 9-11 weeks. Participate in two 2-day meditation retreats with a master meditation teacher to deepen your practice. Receive clear instructions and support to help you know if you are on track with your personal meditation practice between modules. Learn step by step awareness practices to be able to gauge your progress on an awakening path. Open your energetic body and shift your level of awareness through a synthesis of meditation practices, Chi Gong and self awareness exercises and educational materials. 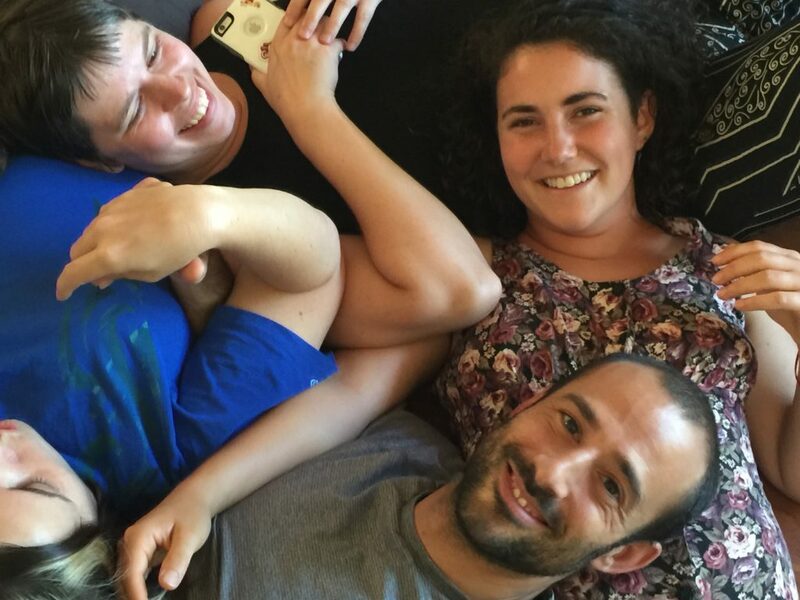 Receive ongoing training & support as well as community connection between modules with labs facilitated by advanced interns or teaching assistants in the Bay Area. These are a powerful opportunity to practice the skills learned with fellow students and to explore the material in greater depth. Mondays following the modules are an opportunity for advanced students, dynamos, and teachers to come together to integrate, explore, and expand on the teachings of the module. Additional cost may apply depending on path chosen. Sessions, mentoring, personal coaching, and pods are available at additional cost with official Luminous Practitioners, to support you in your ongoing healing and growth and offer pointers for applying your growing awareness and skills to all areas of your life. Participation in all homework and practice sessions assigned to 2-year students is highly recommended, including participation in pods, labs, and other opportunities. Level 1 practitioner certification can be fulfilled as an Advanced Student if not completed in initial 2-year program. Join LAI again as an Advanced Student! As a full participant in all aspects of the program, you will continue your growth and healing while deepening the skills and understanding you've already gained and helping hold a more expansive field for new students. If you didn't complete Level 1 Practitioner certification in your initial 2-year program, you can submit your homework and sessions during a second round. Level 1 Practitioner certification entitles you to offer sessions in the Luminous framework in private practice or to weave these skills into other modalities. It does not guarantee you a job as an official Luminous Practitioner, which requires additional training and assessment and is by invitation only. Pay Your Deposit to Hold Your Spot! Strengthen your practitioner skills or move toward possible roles within Luminous! Join the Lineage Path to round out your capacity to bring your gifts in service to others. Continue healing your personal process while shifting your focus from self to other as you are given opportunities to put your skills into active practice. Support new students and the larger Luminous mission to transmit its teachings in service to the world. As a student on the Lineage Path, LAI offers a reduced price for attending the 2-year program in honor of your commitment to attend all 8 modules and to show up in service to the teachings, program, and students. Offered between each module, these will be opportunities to deepen into the teachings and explore questions relevant to practitioners. These will be offered by Luminous Teachers. Zoom options will be provided for out-of-town students. Come early on Thursdays before module, join the advanced breakouts with Advanced Dynamos and Teacher Assistants throughout the program, and drop into the Monday deep dive intensives. Offered periodically. Additional costs apply. 72 hour long practice sessions given AND 72 hour long practice sessions received are required to receive Level 2 certification. You can also work toward Level 1 certification if you didn't complete that in your initial 2-year program. Trade with other interns and dynamos as well as work with new students (both during and between modules) can fill out many of the additional required sessions. Branching out and giving sessions to people beyond Luminous students and peers is highly encouraged. Weekly healing sessions are strongly recommended. Trade with other advanced students is a way to receive more sessions, if cost is a factor. Note: Supervision and mentoring is only incidentally provided during the teaching portion of modules in the process of supporting new students and going through the material again. Individual support is provided through peer trades (at and between modules), during Thursday morning breakout and Monday intensives, and through any formal mentoring or healing sessions chosen with official Luminous Practitioners outside the module. A Lineage Path class will be offered between modules, with Zoom meeting access for non-local students. An official role with Luminous is not guaranteed following this program. And, we hope that you will both develop the necessary skills and the desire to continue through this process. Achieving advanced practitioner skills takes the time it takes and varies from person to person - it could take from 2 years to many. The amount of time and energy devoted to your practice and to your personal healing makes a substantial impact on the development of the skills needed to become a seasoned and well-rounded practitioner. This is information refers to the 2019-2021 program. $850 deposit holds your place in the program and is applied to your tuition. Before September 15, $600 of this deposit is refundable. Before November 1, $300 of this deposit is refundable. After November 1, the entire deposit is non-refundable. A short application is required for Lineage Path. If for any reason you are not accepted at this time, your deposit will be returned in full. Please complete your application within 2 weeks of paying your deposit. Deposit and application must be complete by September 15, 2019 to be considered. Payment in full - save $250! *Includes a fee for managing credit card payments. *Both you and your friend must pay for and attend the full program for you to receive this bonus. Payout will occur halfway through the program. NOTE: These prices do NOT include food & lodging, travel costs, or the cost of extra offerings between modules such as pods and private healing sessions. Some details are subject to change with notice provided. Food and lodging for the 2-day meditation retreats are the responsibility of the student and are not arranged by LAI. If you do not fulfill your responsibilities as a Lineage Path student, you may be asked to switch to being an Advanced Student (with the corresponding difference in price). Please read our Terms and Conditions for important details about payment terms, refund deadlines, and other information! Luminous Modules are immersive. The first module is held near Santa Cruz. The other seven modules are held at the Expanding Light retreat center in Northern California. The closest airport is in Sacramento and it is a 1 1/2 hour drive to Expanding Light. Lodging covers three nights each module with a choice of options usually ranging from camping to dorm rooms to shared rooms to private rooms. Nine meals are included, from Thursday dinner to Sunday lunch. Rough prices for food and lodging for each module run from apx. $300-$700 depending on your lodging choices. Details of lodging and the retreat centers will be provided after enrollment and closer to the start of the program. Are you a Luminous grad with four years of growth and practice and want to explore what's next? For those of you who have already done four (or more!) years with Luminous and still want more, we have two options for ongoing involvement. We would love to have you bring your gifts and skills to the Luminous community! Refine and deepen your practitioner and facilitation skills, stay connected to Luminous community, and engage with the evolving material of Luminous! Anyone who has completed 4 years with Luminous (the initial 2-year program and 2 years of dynamo training) can apply to attend modules in a support role. This may also lead to opportunities to apply for roles within Luminous such as pod leader, official practitioner, circle leader, and so on, as your skill set and engagement with LAI continues to evolve. Priority scheduling for sessions and mentoring (if attending at least 3 modules or assisting at the Subtle Self program). Additional cost applies. Access to advanced classes (if attending at least 5 modules). Can attend advanced retreats (tuition and room and board costs apply). Being an advanced dynamo is available on a space available basis. Commitment to being in an active support role at Luminous modules and with Luminous students is required. While an official role with Luminous is not guaranteed following participation as a dynamo, being a dynamo is a way to continue your growth personally and professionally. Cost: Room and Board only. Please contact the Luminous Coordinating team if you are interested in being an advanced dynamo. You must let the Coordinating team know 30 days before any module you wish to attend to make sure room and board is available. Are you deeply committed to the Luminous vision? Do you have strong skills and want to continue active engagement with the Luminous teachings while bringing your gifts to students and the community as a whole? We are excited to invite people who are deeply aligned with Luminous to step into new roles as "Holy Roller" teaching assistants. Solid Luminous skill sets and an expansive relationship with both the Luminous community and the Master Teachers is essential, as is a commitment to attending all 8 modules. Your commitment to being in an active support role at Luminous modules and with Luminous students is essential. Continue to grow personally and professionally within the rich community of Luminous and fellow practitioners and explorers. Cost: None. In recognition of service offered and value to Luminous, room and board are covered by LAI. While these positions are largely by invitation, please contact the Luminous Coordinating team if you are interested in being considered.